Wassale is back for its seventh successive Christmas season. Renowned for its matured rich and spicy flavour the seasonal brew is available in cask or bottle and in a special gift pack. In 500ml bottles Wassale certainly packs a punch at 8.0% ABV. Supply is strictly limited to 2,000 bottles and when they’re gone – they’re gone. For under a fiver, in an attractive gift pack, a bottle makes the perfect stocking filler and should put a smile on the face of any discerning drinker. In cask, at 4.8% ABV, early deliveries went into pubs in the first week of December. So if your favourite licensee doesn’t already have it behind the bar why not ask them to get it on order before it’s too late! Popular demand for ‘Wassale’ Wincle’s renowned Christmas beer has justified its return for a seventh successive year. 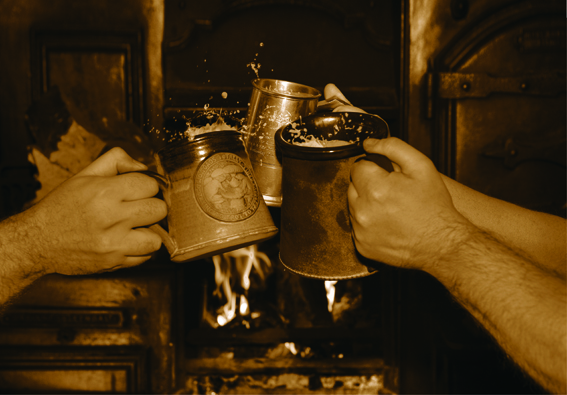 Brewing of our full bodied winter warmer got underway in early September in plenty of time for its rich, spicy flavour to mature before the cold snap of winter starts to bite. Packed with a punch ‘Wassale’ is primed to stave off the coldest nights whether at home, down at the local or a as Christmas stocking filler. 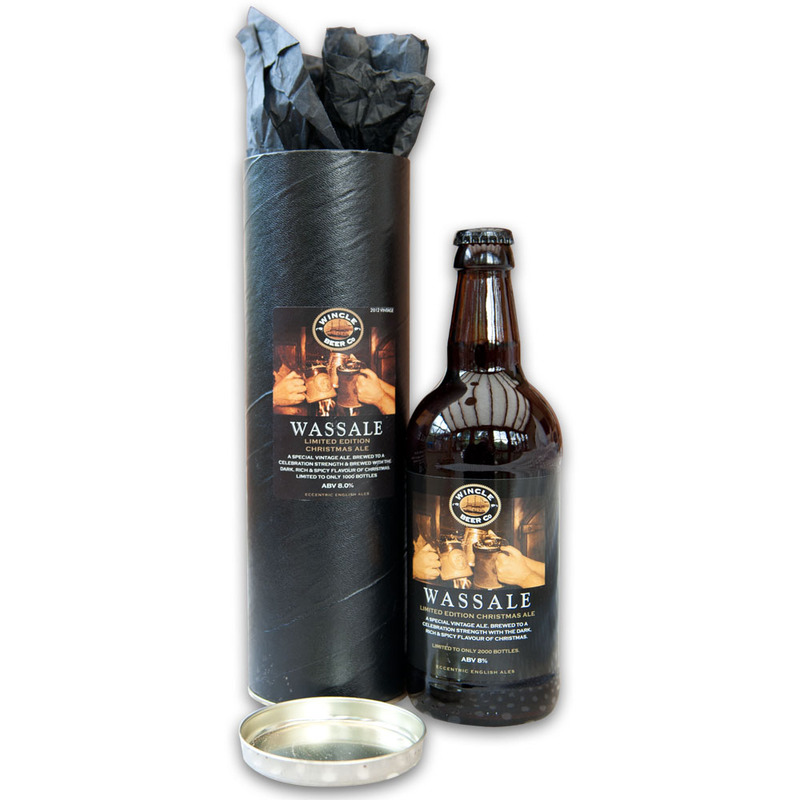 Wassale in cask will make its way into pubs from the first week in December. So why not show your support for these great British institutions and treat yourself to a 4.8% ABV seasonal pint. In 500ml bottles the strength is up to a comforting 8.0% ABV. Supply will be strictly limited to a run of 2,000 bottles and when they’re gone – they’re gone.